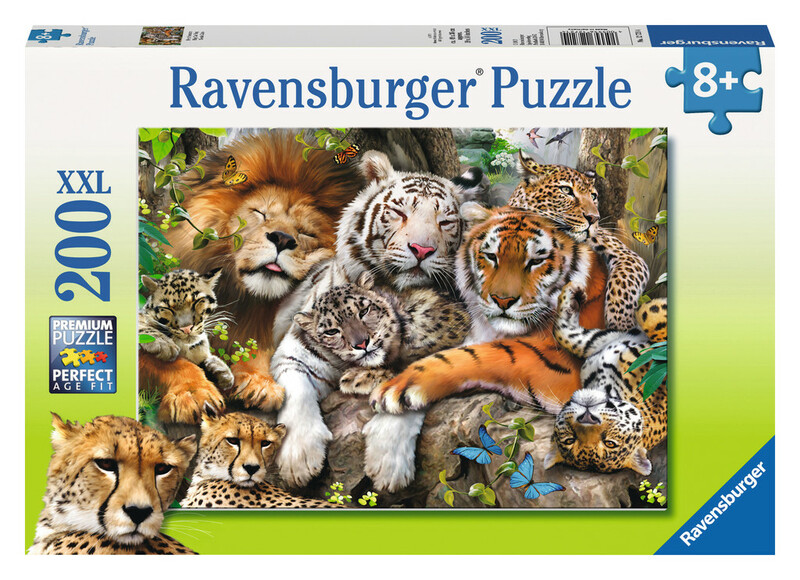 A perfect choice for young puzzlers. 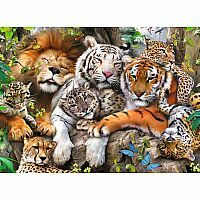 Ravensburger puzzles are legendary for their quality -- our customers love them for the perfect way the pieces fit together as well as for the lovely artwork. 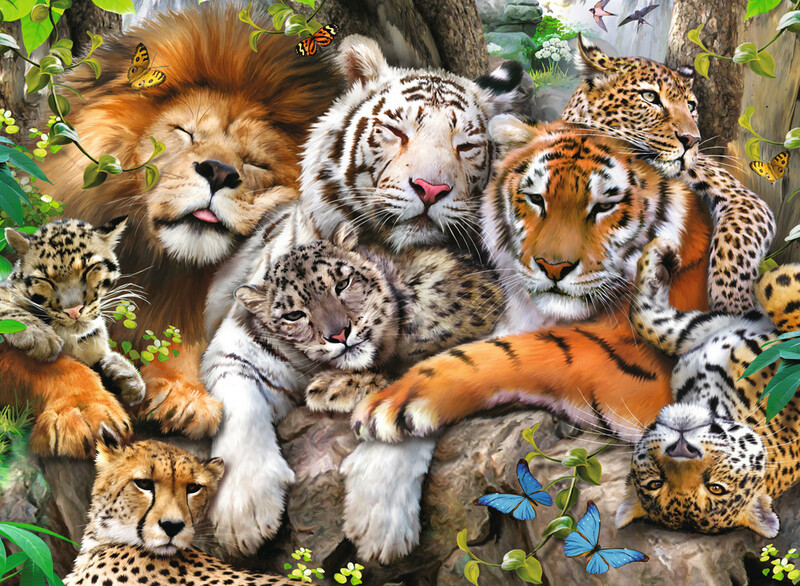 The illustration on this 200-piece puzzle depicts a group of napping big cats, including tigers, lions, leopards and cheetahs.